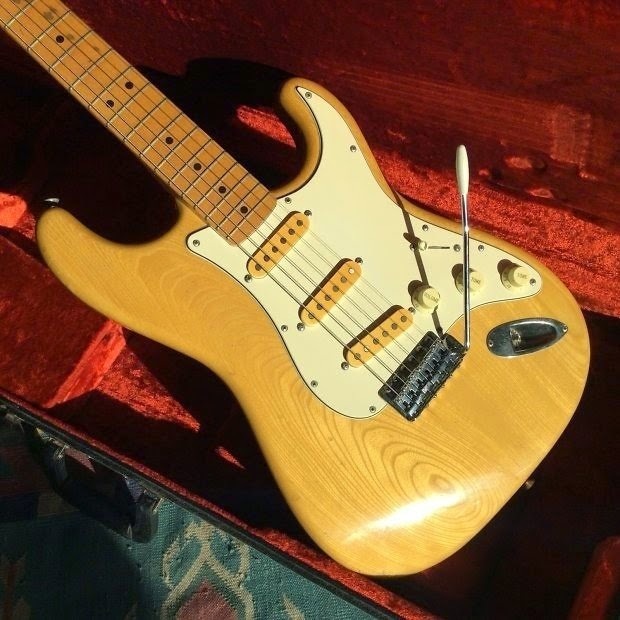 This '73 Blonde Natural Strat is currently listed at Reverb by The Bonfires Vintage a Portland, OR based Reverb 5 Star Preferred Seller (check their reviews). Seller says this one is all original with no signs of mods or repairs. 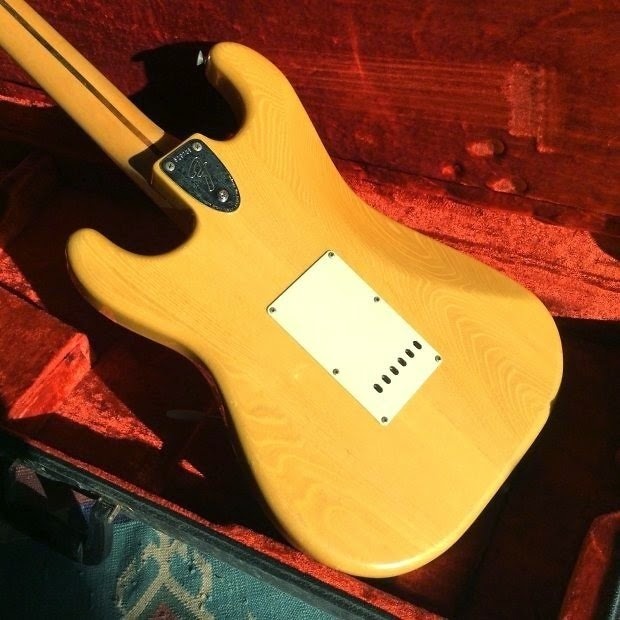 Neck is straight, and body finish & condition is remarkable considering the wear spots in the maple fretboard. Yeah, this one's been played! But obviously well cared for and not abused. 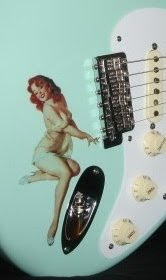 I'm guessing a re-fret is due, especially if these are original frets as implied. You'll also need to contact seller for details. OHSC is included and also appears to be in excellent condition. Ya gotta dig how closely matched the body tint and pickup cover colors are after 41 years! 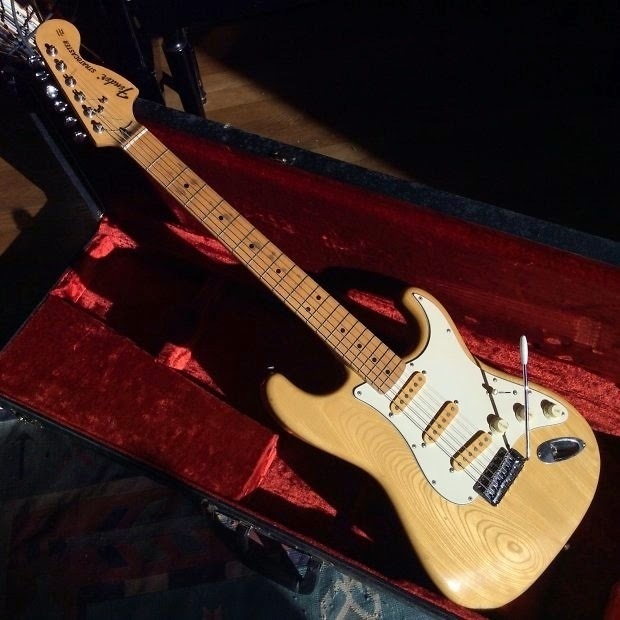 Seems like this Strat has lived in a studio environment and avoided the bar wars. As owner of a '72 natural Tele Thinline with extensive playing out history I can speak to some severe contrasts! As always, click the above pics for close-ups! Anyway a lovely Friday feature for your consideration this week!